Toronto baseball fans, we have been challenged! My friend and nature writing colleague Margo Farnsworth, a Missouri resident and #Royals fan and I have agreed to a friendly wager on behalf of the Earth. We have each identified an environmental cause that reflects our team. For each game of the ALCS, supporters of the losing team must urge their social media followers to donate to the other team’s cause. Less than one percent of Missouri’s once vast native prairie remains. As a result, grassland species have diminished. 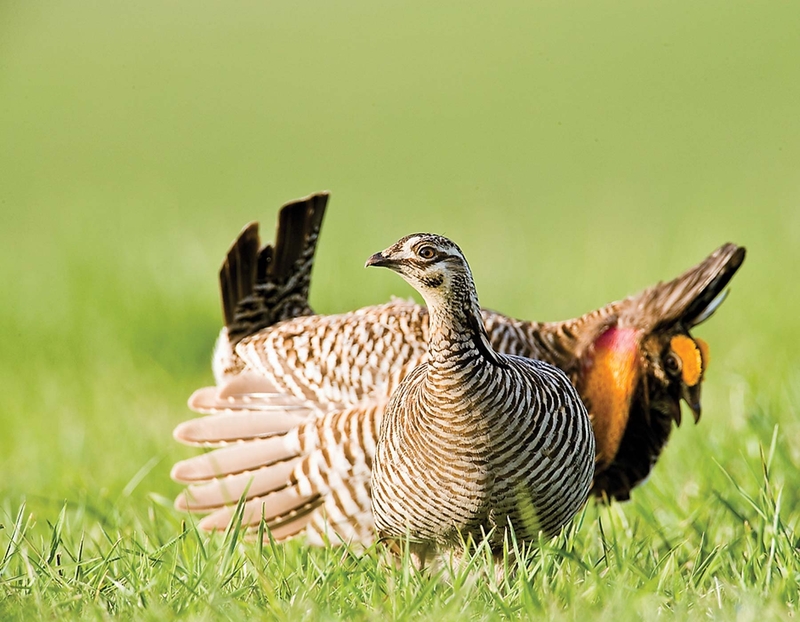 Prairie chickens that once numbered in the hundreds of thousands dwindled and are endangered in Missouri. Photo by David Stonner, courtesy Missouri Department of Conservation. Until the time of statehood, tallgrass prairie covered more than 15 million acres of Missouri—it is as much a part of us as Royals baseball and Kansas City barbeque. But unlike those beloved institutions, prairie is not as well known, due to its rarity. Because of land conversion and other factors, we now have fewer than 70,000 scattered acres remaining in the state—less than one-tenth of one percent of original prairie. The prairies that remain may be called remnants, but they are not artifacts. They are still home to abundant wildlife, billions of important soil microbes, and hundreds of native plant species—biodiversity that has inherent value and also directly benefits us, via pollinator services, carbon storage, soil health, and other ecological services. The Missouri Prairie Foundation (MPF) and other prairie advocates fight to save our remaining, original prairies, because we know they can never be recreated. They are perhaps all the more precious because they are so scarce and so vulnerable. Well, the Blue Jays are birds, after all. And they are quite urban — both the birds and their namesake. 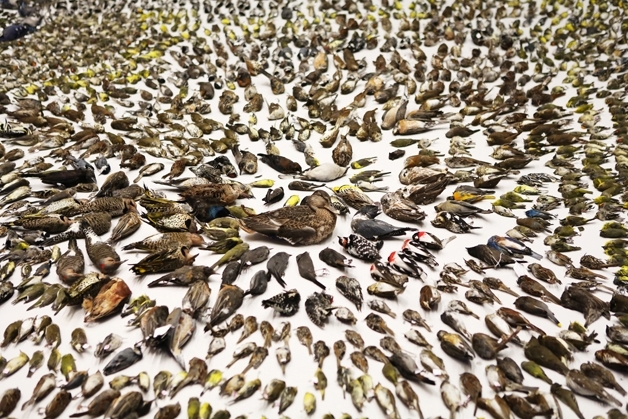 Each year, an estimated 1.5 – 2 billion migratory birds are killed across North America as a direct result of human activity. Bird-building collision fatalities are second only to the impacts of habitat destruction brought about by changes in forestry, agriculture, urban development, climate change, and invasive species. Many of these birds are species at risk who can ill-afford this additional stress. Windows are everywhere: in our homes, offices, stores, restaurants, vehicles, bus shelters…everywhere. Many ornithologists now claim that collisions with human-built structures are the leading cause of migratory bird mortality in North America. 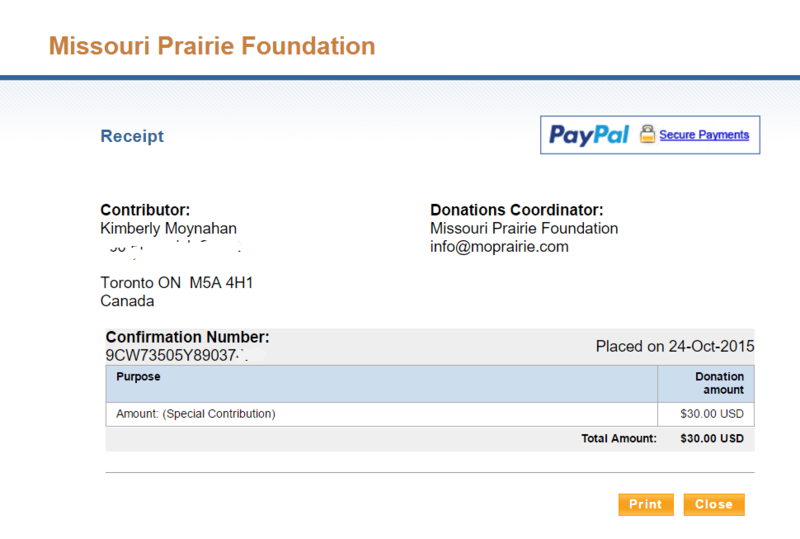 I will certainly take Margo’s challenge and also agree to donate $10 to the Missouri Prairie Foundation each time the Royals win. So, who’s going to join us? Let’s hear from you in the comments. Which team do you support? Will you help spread the word for our causes? Will you pledge a donation as well? Let’s hear about it! Now …. Let’s PLAY BALL! PreviousBlog vigorously. Make every word tell. NextTo My Blog Readers: Who ARE you & why are you here?